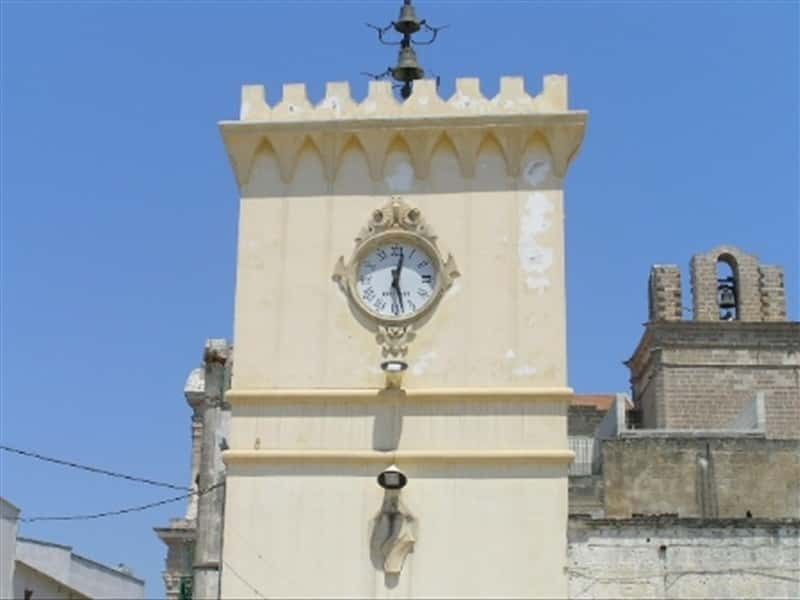 Avetrana, is a small town situated near Taranto on the border of the territories of Brindisi and Lecce. It lies near the antique road "Via Sallentina" which was already in use in ancient Messapic (population with origins in the area) and Roman times. It is only at 6 km distance from the Ionian Sea. From a geological point of view Avetrana is built on chalky grounds, which over the ages have generated natural grottos and caves, whilst its rural landscape presents a continuous following of olive groves and vineyards where ancient manor farms (masserie) and mansions were been built in between. In the early '900 it was possible to count 22 active manor farms, but this number reduced to a half in the 1950's. Some were abandoned over the years but recently due to growth of the public interest towards the agrotourism (farm holidays) most of them have been completely refurbished and the original internal decorations restored. Near to the famous farm house "Masserie della Marina" the rests of a village and a sepulchral area have recently been found which seem to be of the Neolitico Antico period. From 2006 the excavation sites are open to the public and there is a permanent exhibition of the finds at the Castle "Torrione". The Torrione is a Norman castle of which there are official traces only from the XIV century. 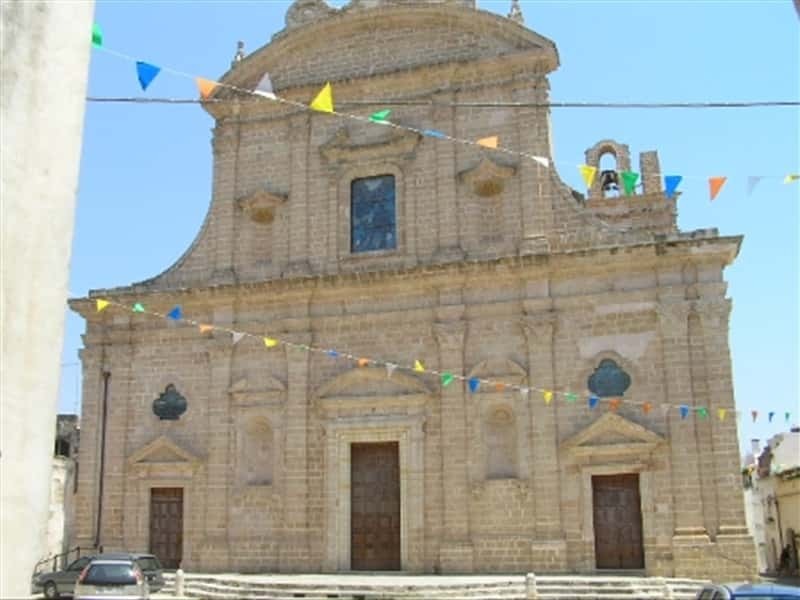 Other interesting sites of the area are "la Chiesa Madre" (the Mother Church) rebuilt between 1743 and 1756 after an earthquake that destroyed an older one, and the castle of Modunato that is situated near the homonym farm house. Another area populated in ancient times is the one near the Church of "Santa Maria del Casale", proved by ceramic fragments found with date back to the first centuries a.C. This Church was abandoned and closed to cult, once the la Chiesa madre was completed. Its ruins are interesting for its wall paintings and the representation of the Lion of San Marco, on the right hand wall of the building, symbolize the influence of the Venetians in this area at the times of the Venetian Serenissima Republic. This town web page has been visited 43,837 times.